WEBSTORE / POS SOFTWARE INTEGRATION STRATEGY DRIVES RETAIL SALES FOR SMALL BUSINESS RETAILERS | A blog about smart POS software for independent small businesses. We are thrilled with feedback from retailers using our POS software webstore integrations. The best feedback of all is the news of sales they are achieving that they would otherwise not have achieved. Through websites we have developed and connections back to high street retail businesses using our POS software we have helped small business retailers achieve significant sales from shoppers interstate and overseas. The sales success is as much a testament to our search engine work as it is to our web development and POS software / webstore integrations. What is most interesting is the sales we are helping our customers achieve outside their usual trading hours. A retailer arriving in the morning at 6am to three sales totaling close to $1,000 is exciting. We hear about it because our retail partners like to share with us the success they are having. And we gratefully receive stories of their success because we know their success feeds into our success. We have wonderful reference sites doing good business online thanks to the technology and backup business strategic advice we have provided. Small business retailers can compete online, they can achieve sales they otherwise might have missed. They can reach into geographic locations where they are not known. They can easily serve these locations thanks to smart tools that make shipping each, transacting payments easy and providing personal customer service easy. Helping and independent small retail business add thousands of dollars of gross profit to their bottom line in a year is a result we love here at Tower Systems. It is real thanks to the professional work of teams within our company in pursuit of our mission to help our small business retail customers to make money. With more than 3,500 small business retail customers using our POS software we have had to be on top of the push program engaged by Microsoft in the roll out of their Windows 10 upgrade. The moment we saw the inevitability of the Microsoft roll out, we adjusted our customer service resource allocation to ensure the needs of our customers were well met. We developed peer-reviewed consistent advice for the most common questions, to ensure that our customers had access to this advice in addition to personal one-on-one advice. We added to our help desk staffing resources. We re-allocated help desk time to ensure we had people at the emerging peak times of the day for Windows 10 specific calls. We doubled our Saturday office-based help desk staffing. We provided information to our customers via email and snail mail. We ensured we had Windows 10 knowledgeable escalation points for those with concerns outside those typical and that require management level insight. As a group we gathered to review progress regularly to take on bard any feedback and leverage any learning opportunities. Even though many Windows 10 issues are outside providing support for our POS software, we have taken the calls and provided the advice, at no cost. Indeed, we have processed close to 2,000 Windows 10 calls. That we have done this at no cost to our customers has collectively saved them a considerable sum. We are proud of how we have handled this and are grateful to our customers for the opportunity to serve them in this Microsoft caused action. Now if only Microsoft approached their own update roll out with the level of customer care we have shown through our actions. The part about the Windows 10 update (malware) that has angered people the most is that they have had little or no control over the timing. Tower Systems does not use automatic updates nor will we do this. Indeed, this commitment to our users is a valuable selling feature for us. We believe small business retailers need to be able to decide for themselves when to update based on the facts relevant to them. Every week we get to see many different retail situations through our work with small business retailers. The most exciting shops we visit are those that challenge our perception of that type of retail business. This happens when we go into a shop expecting to see a certain range of products or a certain type of display because of the type of business it is and we actually find something quite different, far more exciting, something that challenges the perception of the business. Through our work with retailers we share the insights we see, this ideas we pick up and the excitement we feel when we see something unexpected. So, beyond the POS software and the technical work we do we share good retail, retail we like, to encourage change elsewhere. We try things ourselves in our own shops, like the greening of the magazine department in our own pop culture newsagency as shown below. Introducing plants to the magazine department has resulted in excellent shopper interaction. IS YOUR POS SOFTWARE CO. CLOSED TODAY? Here at Tower Systems we understand small business retail and that we need to provide access to support when you need it. In addition to our 24/7 support, on saturdays we also provide access to office-based help desk support. Our Saturday team has access to more resources with which to help our customers. They provide a level of service beyond what retailers can be from a mobile service. Take this morning, our Saturday team is already in the office and helming customers. Each call is a peace of mind opportunity for our customers, reminding them of the value of the personal and accessible service we provide. For us and our customers this is a Tower AdvantageTM. Tower Systems is an Australian POS software company that develops, sells and supports software for selected specialty marketplaces including toy, pet, produce, gift, newsagent, bike, garden and fishing businesses. We only serve independent small retail businesses. This is important. We welcome working with product suppliers to create data links that save you and them time, data links that improve data accuracy, data links that feed more accurate business reports. We mention these capabilities today as they reflect what we stand for, what is important to us in our service of small business retail. Most important of all is our focus on small business retail, our commitment to helping small and independent retail businesses thrive as they compete with online a bigger retail businesses. We take our mission seriously and personally. It is our reason for being in business. We are grateful to be of service to valuable and locally connected businesses. There is no regulation when it comes to web development, no certainty that you are engaging a professional with the skills necessary to get the job done. Too often we hear stories of retailers paying for a website that does not work or is not easily updated or that is not being found in online searches. Ensure the developer commits in writing to commercial outcomes with which you agree. Agree to staged payments with some funds withheld until the site is genuinely live and working to your satisfaction. Ensure the site comes with training for your proper maintenance of the data on the site. Ensure the site is provided with a marketing program to ensure the site is easily found online. If a website development proposal sounds too good to be true, it is most likely too good to be true and you should pass. Thanks to smart facilities in our POS software it is easy for retailers running a website as well as their retail shop to load images to the website. This loading of images is simpler and easy direct for our software as part of our one stock file approach – having a single stock file between the physical high street store and the online store. This smart online retail management – managing inventory in the one location. This is efficient for small business retailers. Indeed, it is how we handle online ourselves in our own retail businesses with online operations. We load images easily and these images can be quickly and easily loaded into our POS software from supplier files provided. A good example is the work we do with Thomas Sabo working with and for our jeweller software customers. The Thomas Sabo images file loads into our software, providing beautiful images attached to inventory items in our sock files. These can then be accessed from a store’s online webstore thanks to the links and data feeds we provide. This is one example of smart visual inventory management for online and offline retail provided through the Tower Systems POS software. The theft reduction training video we produced in-house – How To Steal From A Retail Business – is being used by business groups to train their members on measures to take in retail shops to reduce the opportunity for employee theft. In addition to the YouTube views, this video has been packaged and provided outside that platform for people to embed in conference presentations, one-on-one training and elsewhere. Using your POS software small business retailers have excellent tools with which to reduce the opportunity for theft. These have existed for years. In addition to our software work, we act as expert witnesses in investigations and proceedings that successfully prosecute employee theft cases. What matters is that theft can be reduced and even eliminated with good management oversight in any retail business using our POS software. 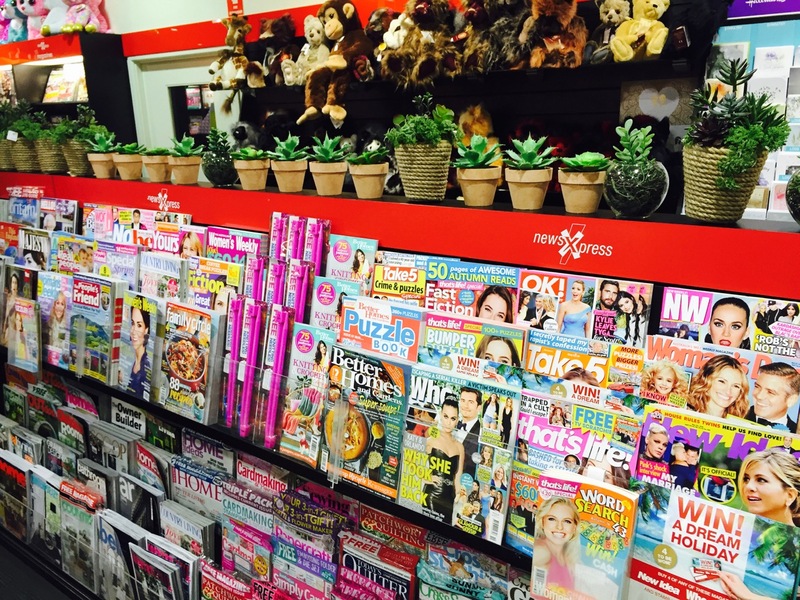 The magazine sales results in the Q1 2016 Newsagency Sales Benchmark Study published by Tower Systems ten days ago have been shown to be accurate Landin-line with the audit results subsequently released. Our benchmark project has been running for many years and the results are used y small business newsagents and newsagent suppliers. Similar benchmark principles are used by retailers in other retail channels in which Tower Systems serves as our POS software facilitates benchmark same store performance comparison. Through our training and support services we help retailers to engage in the most important analysis they can undertake, comparing their performance on a same store basis on a year on year scale. We supplement this with the ability for like for like retailers to easily compare business performance, to assess how they are trading compared to similar businesses. This is at the heart of our channel level retail sales performance benchmark studies. Too many newsagents are drifting, waiting for something to happen rather than forcing change in their businesses. Customer traffic. 67% of newsagents report average decline of 1.8%. Overall sales. 75% reported an average revenue decline of 1.3%. Basket depth. 62% report a 1.8% decrease in basket size. Basket dollar value. 68% report a decrease in basket value of 1.9%. Loyalty. 33% of respondents use a structured loyalty offer such as points or some other discount. Every retailer wants to know about traffic, revenue, basket depth, basket value and loyalty. We make it easy to report on these as well as other KPIs such as stock turn, return on investment, return on floor space and return on shelf space. Tower Systems has a commitment to helping small business retailers using its POS software to clean up stock files, reduce inventory records and through this to focus on the dataset vital to the future of the business. This work is part of our customer service commitment. It is included in our Tower AdvantageTM package of services. Over time, stock files can become bloated with products once sold and no longer stocked. Stick files can also contain details of items provided by a supplier with a stock file, items never sold in the business. The Tower Systems free assistance process cleans and washes the stock files, ensuring current and accurate data is maintained, removing the trash. The result is good for small business retailers as it helps focus their attention on what matters to their business. This is another free service from Tower Systems. FYI it is on our mind this Monday morning because we have already helped one customer today with a stock file clean up. The Xero POS software interface with the POS software from Tower Systems helps small business retailers save time and money. We are a proud Xero partner. Here at Tower Systems we love making things easy for our POS software customers. This is why we love Xero. It is also why we love Tyro. We integrate with both. We all look forward to dog day at the office as it makes for heaps of fun and lots of warm feelings. We are sure our customers sense that dogs are in the house and helping us enjoy our days even more. This is our tip for today. Welcome pets into your shop for a fun day. WHAT IS THE TRUTH ABOUT YOUR RETAIL BUSINESS? The truth about your retail business is how it is performing now compared to the same time a year earlier. Not how you think it is performing or how you feel it is performing but how it is actually performing. You are your most important competitor. Report on the last period, usually three months, and compare this with the same period a year earlier. Look at revenue, units sold, traffic count, average sale value and basket depth. Let your data be your truth, your only truth. If someone in the business makes a statement about business performance, take a look at the truth for yourself and rely only on this for your planning. If a supplier makes a statement about the performance of your business, take a look at the truth for yourself and rely only on this for your planning. Next time you tell someone how business is doing, base it on the facts as facts are a currency on which you can bank and off of which you can plan. Gut feel and opinion are nice, but they cannot be relied on as such as your own business data. In the Tower Systems POS software there are excellent reporting tools that report the truth of business performance. We can help you access these and we can help you understand them. Rather than the shrill puerile comments elsewhere on the Microsoft forced Windows 10 update, the Tower Systems customer service team is providing calm help and assistance to any who seek it. Our POS software is good to go. TOWER SYSTEMS: MORE THAN YOUR AVERAGE POS SOFTWARE CO.
newsXpress Southland from mark fletcher on Vimeo. Using our software ourselves provides an experience and value far beyond what POS software companies are used to. We walk in your shoes every day and this is part of what helps us to make better, more useful, more valuable POS software for small and independent retailers in the retail channels in which we serve. As an authorised partner of respected hardware company, we are thrilled to have been able to show off the HP RP9 all in one POS terminal to prospects at several events recently. While we have an RP9 exclusively for an event last week, we filmed this short clip showing it in all its glory. HP RP9 from mark fletcher on Vimeo. Not all POS software companies selling HP branded hardware are authorised resellers, not all sell new equipment backed by the respected HP warranty. At Tower Systems you ave access to the real thing. 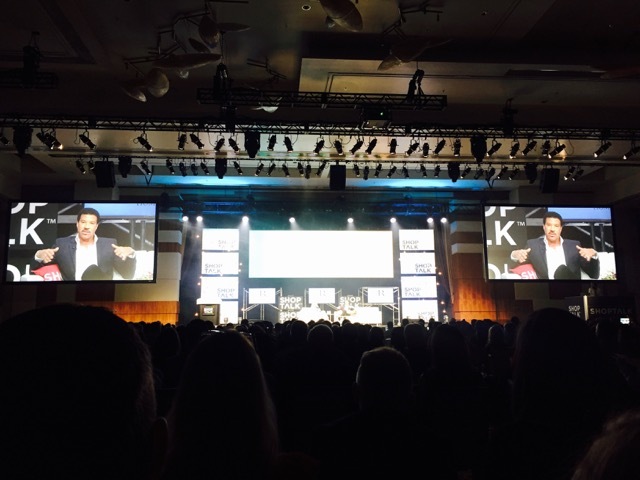 Some from the leadership group of Tower Systems are at the Shoptalk 2016 conference in Las Vegas this week. Shoptalk is a leading-edge conference bringing together 3,000+ retail and technology professionals to explore the future. Our participation here for the four agenda-filled days is with particular focus on our constituency of small and independent retailers and how tech is evolving in service of their growth. 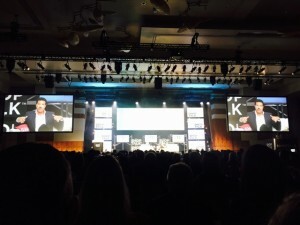 The event is halfway through and already there are valuable learnings and future-beneficial connections as we focus on continuing to deliver best-practice POS software to our 3,500+ customers. The photo is from the presentation by Steven Lowy of Westfield – as fascinating insight into their extraordinary innovation. TOWER SYSTEMS POS SOFTWARE XERO CLOUD BASED ACCOUNTING INTERFACE HELPS SMALL BUSINESS RETAILERS CUT ACCOUNTING FEES. 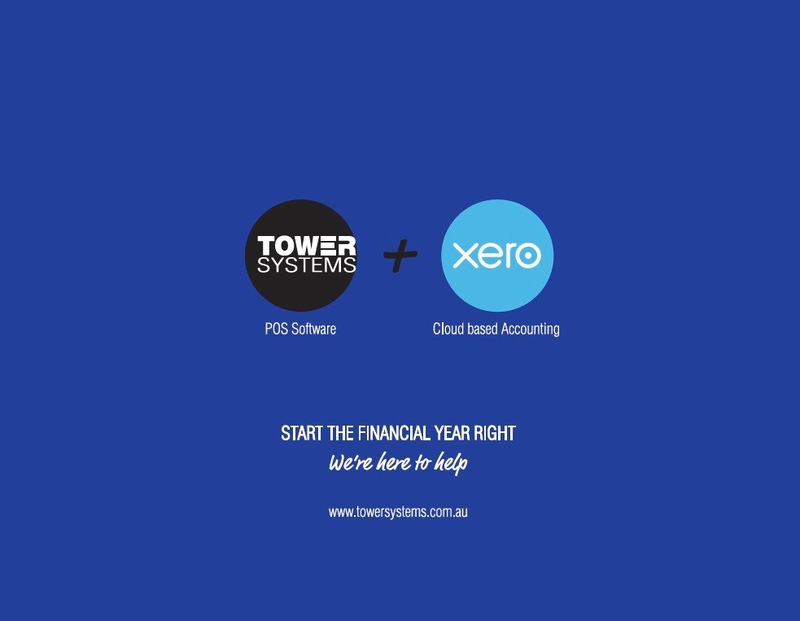 The Tower Systems POS software xero cloud based accounting link is ideal for small business retailers keen to cut accounting fees – and who doesn’t want to cut accounting fees. We use the xero cloud based accounting link ourselves in our own retail businesses so we live the benefits every day and can speak to ease of use, ease of setup and the value of strong results for the business from immediate access to up to date accounting data. Developed to the exacting requirements of Xero cloud based accounting and established on the Xero cloud based accounting website as an approved partner, the Tower Systems POS software Xero cloud based accounting link makes it easy to feed sales data and other data direct from the POS software to xero cloud based accounting for a small business. Use is seamless, in the background. We have our own cloud based server as the bridge between our software and xero. This is a link small business retailers keen save time and money on external accounting will love. The link saves accounting fees by doing some work your accountant or bookkeeper might otherwise be doing for you. The link from within our POS software feeds data to xero seamlessly and in the background. No keystrokes required. Yes, real time is saved here. We have accountants who have recommended us to their customers because of the xero link, accountants who themselves wholeheartedly endorse xero. We are grateful for these opportunities. Xero as a company does not automatically bring on all software companies that connect to them. We are aware of they rejecting at least one POS software company. So, we are thrilled to be a partner and appreciate their engagement with us and their listing of us as a partner on their website. What we are doing here with the xero link is another part of what we dub the Tower AdvantageTM, yes something we have trademarked because it is unique to us. Indeed, something so unique in our specialty retail channels and niches that we have protected it with a trademark. While Australian politicians whip themselves into a frenzy during the eight week long election campaign, Tower Systems continues to deliver genuine time-saving Point of Sale software on which small business retailers can rely to save time and cut red tape in their businesses. Using the Tower POS software, small business independent retailers are able to save time on everyday transactions in their businesses. This time saving is thanks to red-tape cutting facilities in the software, facilities designed to streamline processing, eliminate paperwork, reduce double handling and provide a smoother customer experience in store. Whereas politicians talk about cutting red tape, here are Tower Systems we are delivering red tape reductions for small business retailers. The time savings delivered cover plenty of areas in small business retail including these. GL / Balance sheet integration. In each of these areas and more we focus attention on cutting keystrokes, reducing mistake opportunities and processing faster to save time for the business and its customers. What we help our customers save results in tangible benefits for each engaged business. This is a bottom line benefit. Our savings come from careful analysis of workflow in the business, watching how people use the software and how they engage on both sides of the counter. The result is efficiency, real efficiency and not just the type of promise you get from politicians who talk and do not act. On a table top function by function comparison, we are proud of how our software compares, of the benefits and efficiencies we deliver in the area of streamlined processing. The differences, time saved, mistakes eliminated and streamlined operation all mean a red tape busting benefit delivered by Tower Systems. This is what we dub the Tower AdvantageTM, yes something we have trademarked because it is unique to us. Indeed, something so unique that we have protected it with a trademark. So when you hear politicians speak about cutting red tape, think about Tower Systems and the real difference it makes for small business retailers when it comes to cutting red tape for real. We are proud of what we do for our retail partners. We are thrilled to have been successful in expanding our help desk team with another hire for a new position. This is the second in a few months. We will share details with our customers in our weekly email once training is completed and the new team ember is taking calls. We are thrilled with this intro video created in-house promoting our toy shop software. The retiree (or seniors) marketplace can be lucrative for a retail store. They tend to be loyal and engaged in word of mouth marketing about good retail experiences. They can also be flexible about when they shop and this is where a retail business can really leverage the opportunity. Before you can market any retiree service or benefit you need to develop a plan for handling the opportunity. What products will be offered and at what special prices? The most common approach is to offer a flat discount to retirees, or seniors as they are called in some marketplaces. This discount is usually between 5% and 10%. Price is important to the seniors marketplace since they either have a fixed income or are living off finite savings. They like businesses which help them save money. You will also need to decide when the discount or other offer is available. Some businesses make the offer available only on certain days, usually the quietest days of the week. Others offer access to the benefits all the time. Think carefully about the needs of the business before deciding when you will provide access to the benefits – focus on the business outcome you want to achieve. In terms of accessing the benefit, it is common and fair to ask for some form of proof of eligibility. This could be in the form of a drivers license or a seniors card as is available in some locations. This is a card usually issues by local government. Sometimes, it is issued by residences. An alternative is to create your own retiree / seniors card for use in promoting the business. These should be professionally designed and produced. Ensure that such a card is respectful and something these customers would proudly carry. Design the card so that it promotes the benefits you offer – so that it is an extension of your marketing program. Whatever method you use to identify your retiree customers, it has to be simple to use at the counter for processing the appropriate discount. Train employees to offer the discount or other benefits to someone who looks eligible. While this could cause embarrassment, it could also extend the word of mouth around the offer. Promote to retirement villages in the local area. Advise local government authorities that you offer a benefit to retirees. Contact local clubs and organisations likely to connect with retirees. Promote the benefits in-store and in your business newsletter. You want to spread your offer as far and wide as possible, so that retirees beat a path to your door. Visit local retirement residences and offer assistance. Look up clubs the Internet – there are plenty of groups, clubs and forums for older folks travelling around. They share tips about places they like. The value of the retiree market to your retail store will depend on the value of the offer available to them and how widely you promote this. While some retailers see retirees as a chore others see a business opportunity.